This website is a showcase of seamless Drupal integration combined with a professionally designed layout. Specific to this site was Diallog's need to have site content broken into three channels to funnel customers to specific content. Each channel is presented differently, including a different colour and navigation structure. Intrigue completed all development goals with great success. 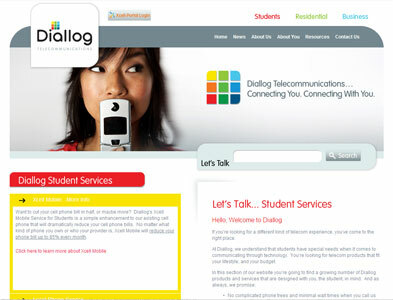 You can find more about Diallog at www.diallog.com.